These days, having a light-weight, portable PA system for small gigs, rehearsals, DJing, or anything in between is becoming more and more important. You want the features you need, but don&apos;t want to pay for all of the extra bells and whistles you&apos;ll never use. 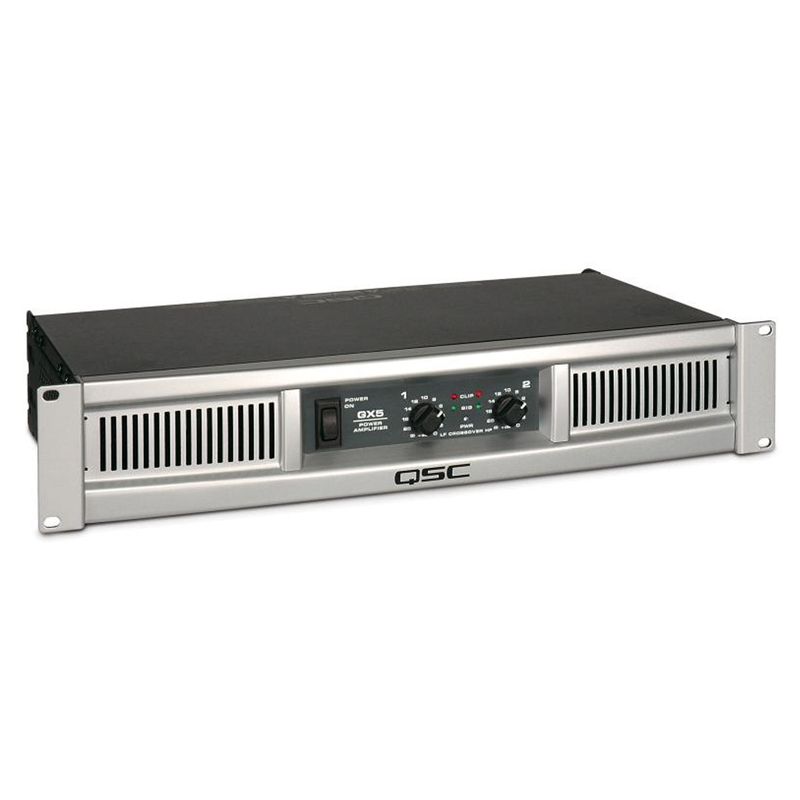 Enter the QSC GX5 Stereo Power Amplifier. The GX5 is a perfect match for most 12" and 15" 2-way speaker boxes. 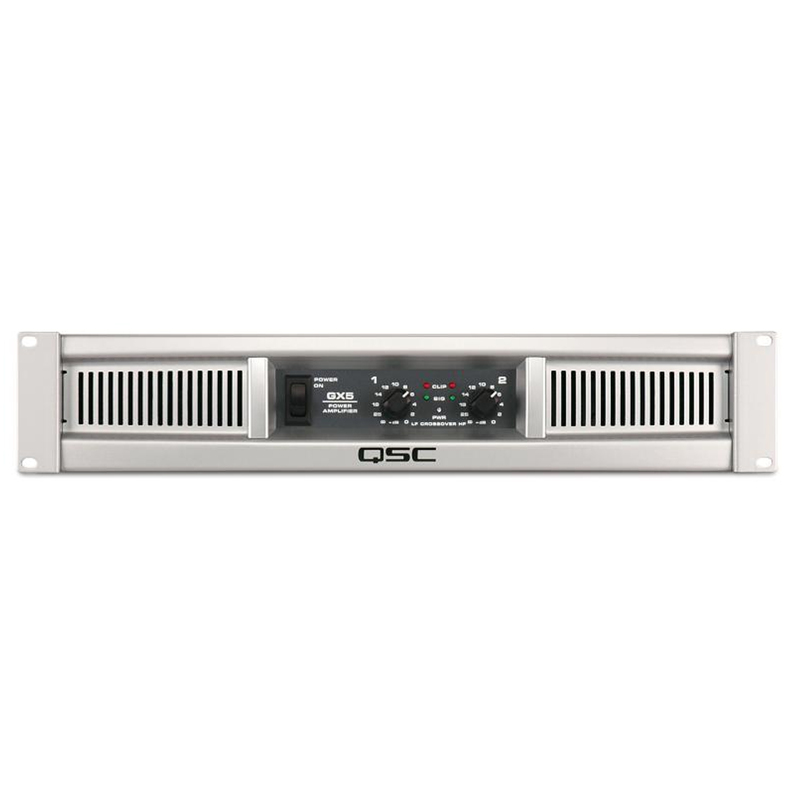 With a power rating of 700W @ 4Ω per channel, the QSC GX5 even has plenty of power for single speaker subwoofers. It has a built-in crossover switch which will allow the GX5 to power a sub on the first channel and a top box on the 2nd. With two GX5s, you've got a full amplification system for a dual sub/dual main FOH speaker system — no crossover needed! Ever been in a situation where you've got XLR cables but need 1/4" to connect, or vise versa? This will no longer be a problem with QSC GX5. 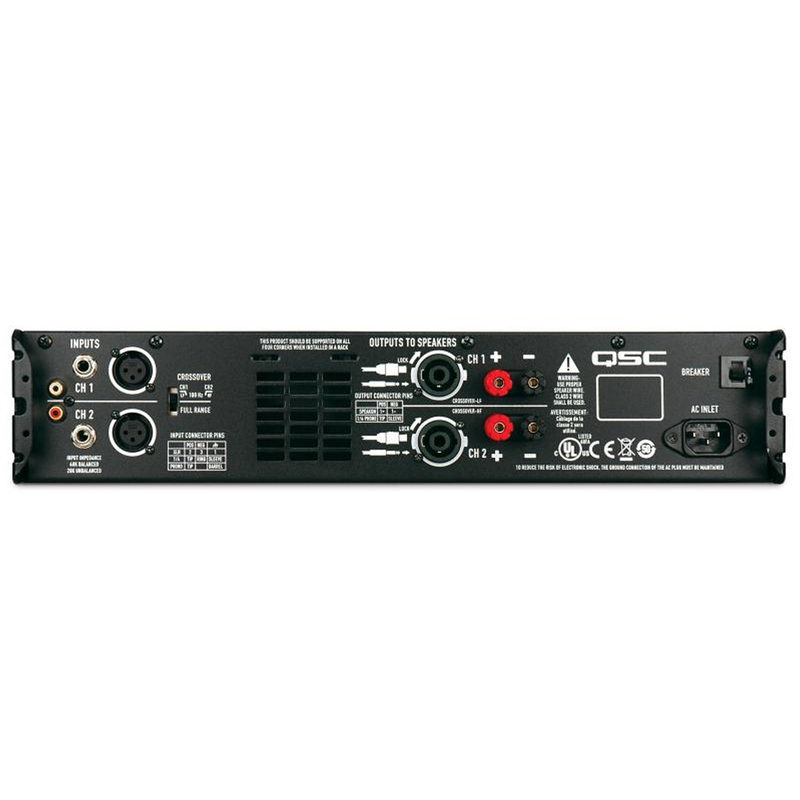 The GX5 has all of the standard input and output connections you could need. XLR, 1/4", and RCA inputs and Speakon®, 1/4", and Binding Posts for outputs. The GX5 has got it covered.